Ohio TeleCom will Install, Service and Repair Nortel Norstar Modular ICS Central Answering Position Meridian Business Telephone Systems MICS in Dayton, Columbus, Cincinnati Metro Areas. buttons for an M7324 telephone. You can connect up to two CAP modules to an M7324 telephone. with the button in the top left corner and moving down. telephone to your CAP module. * Meridian and Norstar are trademarks of Nortel Networks. 2. Press the buttons you want to check and read the display. 3. Ensure that your buttons have the correct snap-on caps. 4. PressÄ when you are finished. external numbers. You can also program features onto CAP module buttons. 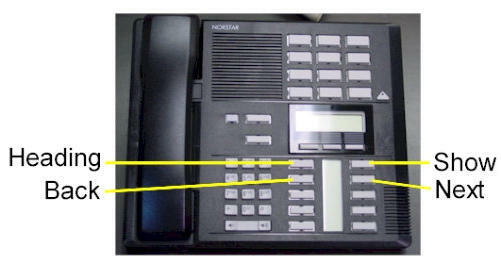 show you the status of Norstar telephones. 1. Answer a call made from outside the Norstar system. 2. Determine whom the call is for. 3. Check the status of the destination Norstar telephone. 4. If the indicator is off, transfer the call to that telephone. • Camp-on lets you transfer the call to them. • Ring Again lets you know when the telephone becomes free. • Priority Call lets you interrupt their current call. • Message lets you send them notification to call you. can send up to 30 messages to co-workers. more information on using Norstar features. 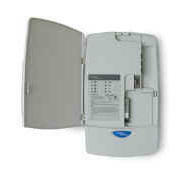 Meridian Norstar is manufactured by Nortel Networks. This document is for use with Norstar Modular ICS.